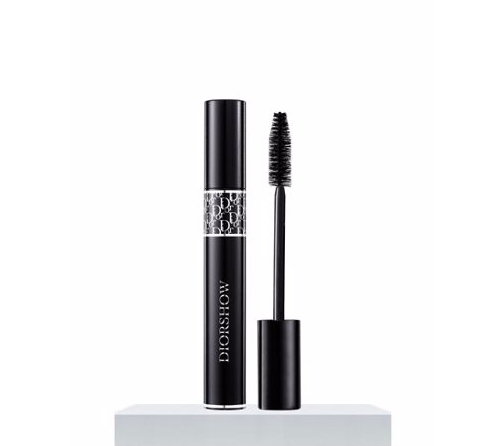 Lash extension effect volume mascara. In 2015, Diorshow, the professional Dior Backstage mascara, is being renewed. Its new-generation formula enriched with microfibers optically reproduces the effect of lash extensions used by runway makeup artists. Its patented AIR-LOCK wiper prevents the formula from being in contact with the air, keeping the mascara from drying in the tube, for fresh application, day after day. Enriched with revolutionary microfibers, the Diorshow formula clings between lashes to naturally thicken lashes without clumping. Its incredibly versatile wax texture coats the lashes with each stroke of the brush for buildable volume. Its lash-care action helps smoothe lashes for even more spectacular shape, coverage and volume.